When I first started writing as a profession, I kept my accounting records in a green ledger. I kept things simple with two sections: cash in and cash out. I used a pencil and painstakingly added the columns with a calculator. Then I got a computer and discovered Excel, which automatically does the math—and fell in love. How much simpler and easier bookkeeping became—although it still isn’t very high on my “things I like to do” list. I’m a writer; therefore, words, not numbers, are my forte. But bookkeeping is mandatory in business, and I can’t afford to hire someone to do it for me. 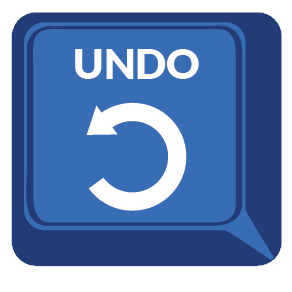 So when I make a mistake—and I make lots of them—I thank the good Lord for the UNDO button. This morning while bringing my bookwork up-to-date, I accidentally pasted a large section of bookwork in a place it wasn’t supposed to go, thereby copying over (and deleting) some important information. Not to worry, though. All I had to do was click on the UNDO button (either a curved arrow on top of the document or a menu option under the EDIT tab), and voila! The mistake was corrected. I didn’t lose all that documentation. Remember grade school? We used pencils so we could easily erase our mistakes, and we made sure we had another eraser besides the one on the pencil. Mistakes are to be expected when you’re learning. Then somewhere along the line, we graduated to pens. Then a mistake meant you tossed the paper in the trash and started all over again. Talk about pressure! It almost seemed as though we now were expected to make no mistakes. But mistakes can’t be avoided. We’re flawed, imperfect human beings, so we err more than we’d like to admit. And sometimes our mistakes land us in a mess only God can undo. Remember Jacob? His mistakes, brought on by his conniving, deceitful nature, led to a flight for his life. But God met him in the midst of his mistakes and assured him that all would be well (Genesis 28:15). “This I recall to my mind, Therefore I have hope. Through the Lord’s mercies we are not consumed, Because His compassions fail not. They are new every morning” (Lamentations 3:21–23 NKJV). Our heavenly Father meets us in our mistakes, too. He is the ultimate UNDO button. Thank you, Father, that Your mercy meets with my messes at the intersection of the cross. Amen. I’m giving away one autographed paperback copy of Getaway Mountain on Goodreads. If you’d like to enter the giveaway, click on the link below. 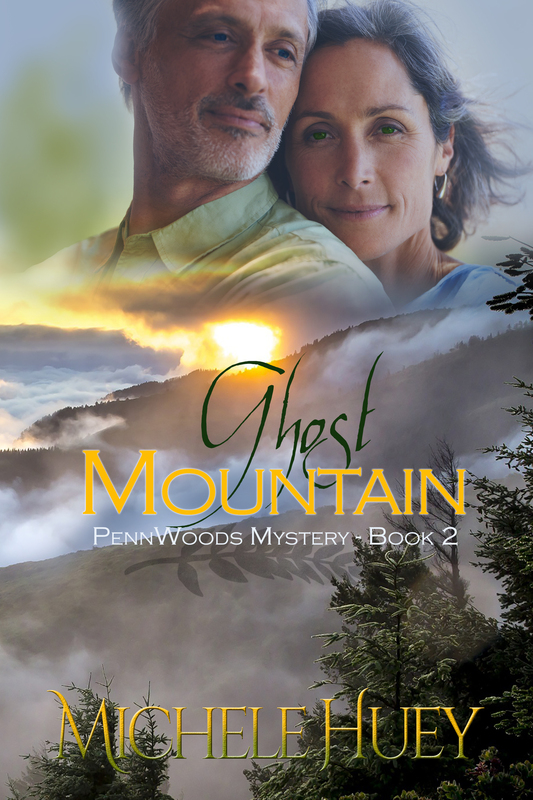 Please pass this along to whomever you think may be interested in the new romantic suspense, Book 1 in the PennWoods Mystery series.